The main shopping area, but very quiet in this picture. 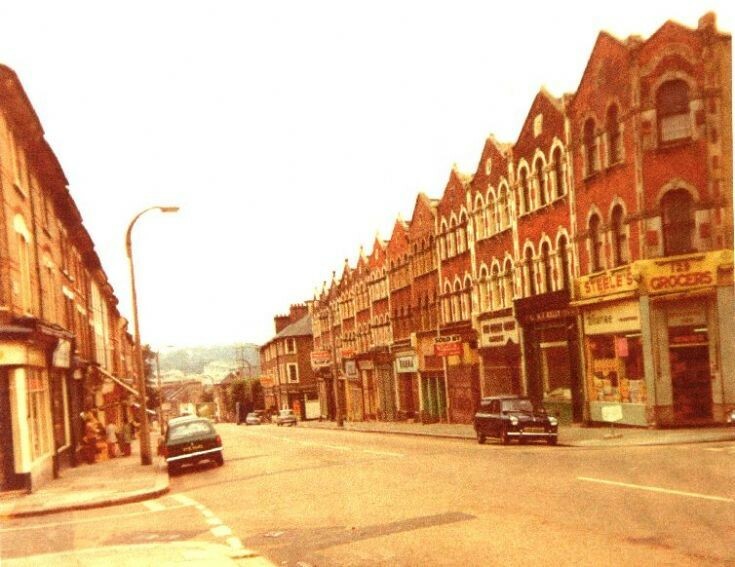 I lived in Station Road in my childhood between 1967-71. The area became very run down and the empty houses/shops in thecarea became a playground. Further up High Road, to the right of where this picture ends, there was an empty department store with the counters and pnuematic tube system still in place.